Xpress Your Essence: Out with the Old, In with the New! I, for one, do not believe in resolutions. They are easy – maybe too easy – to make and just as easy to break. Like promises or good intentions (though having intentions is a good thing), it is easy to fall through the cracks on them. In fact, synonyms for resolutions include words such as intention, resolve, commitment, pledge and promise...pretty strong words to say the least, don’t you think? The definition of resolution is "a firm decision to do or not to do something." Regardless of the strength of these words, unless we have determination, discipline, and conviction at minimum, resolutions may not be met. And why bother setting up for failure, especially at the beginning of a fresh, new year? A goal on the other hand is "the object of a person's ambition or effort; an aim or desired result." 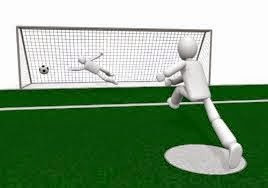 Synonyms for goal include objective, aim, target, intent as well as intention, and purpose amongst others. I actually prefer this though I have heard that "target" is an even better word than "goal" as a goal is finite whereas a target can be changed as in "a moving target." After a number of years of setting goals and/or resolutions and even writing them down at times, I decided to stop this practice. I was willing to dismiss what no longer served me. I strongly suggest you do the same: Stop it. Throw it out if need be. After all, if it doesn't work, why keep doing it? Brief comedy sketch video featuring Bob Newhart regarding "STOP IT!" As Albert Einstein smartly remarked insanity is "doing the same thing over and over again and expecting different results" or as he also similarly stated, "We cannot solve our problems with the same thinking we used when we created them.” It starts in the mind with action being the final result. Thus, I changed my strategy. Instead, I set a focus or theme for the year; I find this more powerful a practice. Sometimes it comes in the form of one word, sometimes two different words such as "peace" and "joy" for example. I had come across one or two other bloggers recently whom I understand do similarly - hmmm, reminds me of the 100th monkey phenomenon! (see ) - and I liked a word chosen as their focus for next year; however, even though I thought I would remember it, I didn't write it down and have since forgotten it! I had recently pondered a word along the lines of pursuing my interests or the like. However, I discovered this past year that the word "passion" has a negative connotation as in "suffering." Thus, keeping all the above in mind, do you perhaps now understand why I chose the word "transformation" as my focus or theme for 2015? That's the word that came to me spontaneously, i.e., intuitively. Do you set resolutions, goals, or intentions? Any or all of the above? Which one(s) do you find work best for you? How do they work for you in terms of a focus for a new year? Linked to UltraBlog, Blog-A-Rhythm, and WordOfTheYear. WHen I was in school I used to make new year resolutions only to forget them. Now older and wiser I do not make them. Yes every night i make a to-do-list for next day and i tick them off one by one. Elly, you have beautifullywritten about New Year resolutions from all angles.Actually I have never come across a person who sticks to NYR beyond February. They are always broken. . I don't have resolutions so much this year. I have a some undefined goals that I want to meet this year but that's about it. I like the concept of goal. That is a status to reach, rather than making a commitment to dogged determination. I haven't written resolutions for many, many (many) years. I had recently read about the "one word" and it came to me about 5:30 this morning, as my husband's alarm went off (he has to work today, I don't). I hope I remember my word a month from now, though! Great post, Elly. I like your idea of themes, words and targets instead of resolutions and goals. Your ideas seem less daunting and more fun than setting ourselves up for failure with rigid resolutions that are so hard to follow. I especially love the idea of a word theme to start off the year and I think transformation is a great one. Also the idea of calling a goal a target is a great way to look at it. I will have to think of a word theme too. It's great to start out the New Year reading ch thoughts! Every Saturday night, I cut my phone calls short to a friend on the west coast. "I now, I know," he mocks, "Tomorrow's Sunday - a new week! How long will these resolutions last?" ;D But a new year?! I woke up feeling so excited! There are 52 new Sundays!!! Have a wonderful day! Nice way to start the new year off right! Definately out with the old and in with the new! Happy New Year! Great word, Elly. I've been choosing a word for the past three years, and I find it very helpful and less pressing than resolutions--although I can't help making a few of those, too. Forward and onward! and best of luck with your goal of "transformation." hmm. interesting. After your comment on my focus words I don't know what inspires me really. Motivation? money? writing? I participate in My One Word. This year I joined Jon Acuff's 10 Day Do Over Challenge. It's a 10 minute a day for 10 days commitment. That seems much more realistic that deciding to do something for 12 whole months. Happy New Year! Funny, I started off saying nearly the same thing - even in the title of my blog post - about preferring to think of a plan of action, with baby steps or bite size chunks to reach goals instead of getting swept up in the "New Year's Resolutions" trap that so often results in failure! Great idea. I too don't make them. Wish you a wonderful new year. Transformation into a fabulous year. Well, I am just too lazy to set resolutions and then follow them :D Too tedious a job and why spoil a new year ;) I work my way towards what I like and want to do! And, the year comes by along! :) Cheers and Best Wishes Ellly! I liked your post. I stopped setting resolutions years ago. But this year I decided that I needed to make some changes in my life. I won't use the R word or the D word, but I am making changes. The biggest one is not carrying baggage from last year into this year. But it is hard already. Lovely idea for the year , Elly. I particularly like your word for the year :) Happy 2015! Thank you for sending me here Elly. This was a lovely read. I too don't like making resolutions. As for making a word the focus of the my blog I think it would be 'passion'. :) I hope to bring that more also into my life and I don't just mean the romantic sort! Take care and bests always, Sam. This is certainly a different approach, Elly. I like your word thought. As for me, no resolutions as such, but a few key goals - measurable - my brain seems to work better that way. I tend to avoid anything that sets me up to fail...there is just no point.